Although most homeowners don’t think much about the garage door, it is part of the makeup of their home. Many homeowners won’t bother with the aesthetics of the garage door as long as it is functional. But the garage door will help boost the curb appeal of your home. In fact, an aesthetically appealing garage door would make your entryway look inviting and well-maintained. That is why it is important to maintain your garage door in such a way that it improves the aesthetic appeal of your home. There are many things that you can do in this regard. Here are some of the most effective Renovation ideas for your residential garage door repair. Maintaining the garage door on a regular basis is very important. In fact, an old and withered garage door could affect the curb appeal and the beauty of the entire property. On the other hand, the majority of doors that are fitted into homes would face the street – which can affect the way your home looks. If your door is worn out and dirty, it won’t do any good for the overall image of your home. That is why it is important to take care of your garage door at all times. Most homeowners would apply a fresh coat of paint on the exterior of the house and completely forget about the garage door. But an unsightly garage door can take the whole house down with it. 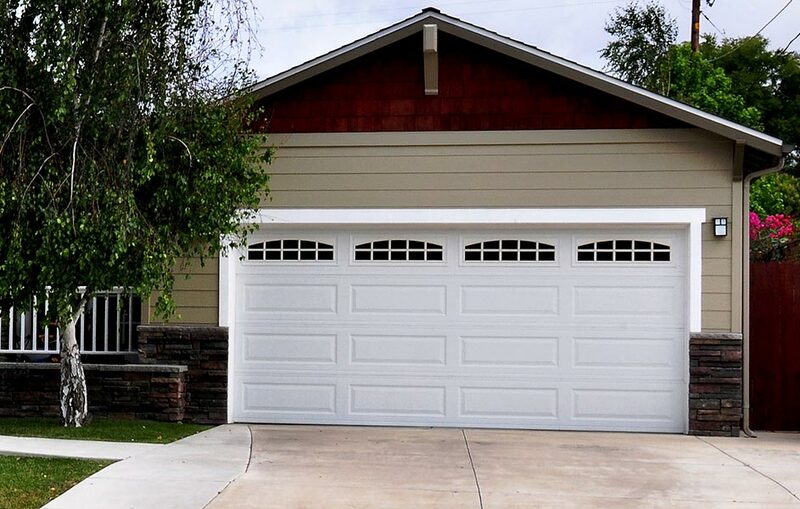 Here are some Tips to consider when renovating your garage door in order to make it look fabulous and improve the curb appeal of your home. In case all the garage doors of your neighborhood look the same, you have a chance to make your house stand out with a little work on your garage door. You should get creative with the door when improving the curb appeal of your home. Many homeowners are reluctant to get creative with their garage doors thinking that it will cost a fortune. But there are many garage door accessories that you can use when getting creative with the door. That way you can easily transform an unsightly door into something of a fabulous one. Faux wood is one of the best materials to consider when renovating your old garage door. In case you want the looks and finish of wood for your garage door and you don’t have money to invest in real wood, you should opt for faux wood. It is much cheaper than having a real wood garage door but will give the looks and finish of real wood. Make sure you invest in quality faux wood since all faux wood is the same. You should look for faux wood that is similar to real wood in its looks and feel. You should choose faux wood that has the color and grains of natural wood. Faux wood will Last much longer than real wood since it is resistant to rotting and termite infestations. There are inexpensive garage door skins on the market today. If you are a cost-conscious homeowner, you should be taking advantage of these skins right now. Such a skin will make your old garage door look fresh and new. In fact, you can buy a garage door skin that matches the overall theme of your home. If the garage door isn’t damaged, you can directly attach the skin to the surface of the garage door. Once you have installed the skin, it may appear like real wood panels installed on the garage doors. You can easily install such a skin on your garage door in less than an hour. Curved garage door frames are ideal for a traditionally styled home. In fact, such a frame will give a modern look to your house. That way a curved frame is an ideal way to renovate your garage door. It will improve the curb appeal of your home. On the other hand, you may even consider adding different grilles to transform the looks of your garage door. This will illuminate the door in the nights to make it look appealing than the daytime. The aforementioned article provides information on the most effective renovation ideas for a residential garage door.